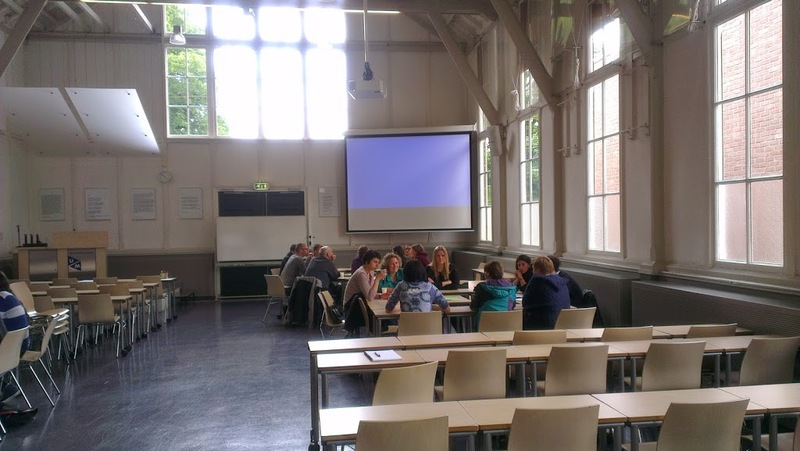 Bringing students in: a Maastricht model? Right now, I’m sat at the back of a room, watching a meeting. It’s more interesting than I’ve made it sound, and not only because cake has been laid on. It’s the annual course meeting of the European Studies section at the University of Maastricht (where I’m visiting this week), where the team of student representatives meet the faculty staff. There are about 15 of each. The student rep team – and they are a team – have organised the session, and picked the topics they want to discuss. This includes one about future careers and the programme prepares them, and one about ‘course coherence and interdisciplinarity’: broken student lockers, it ain’t. These discussions are taken by small groups, taking about 30 minutes to discuss positive and negative aspects, as well as ideas for improvement. Everyone gets to talk about everything, with the reps taking notes, to produce a consolidated document afterwards. For me, this is a somewhat different model from the ones I encounter at home. It’s more open than a Board of Studies (which is about programme management in general), but more structured than a Student-Staff Liaison Committee (which is often more of a clearing house for all manner of issues). Instead, it’s coming across as a means of linking students and staff in a constructive discussion about major topics, with a view to producing outputs. With a couple of hours (and the aforementioned refreshments), it’s also an opportunity for issues to be explored and clarified and misunderstandings (on both sides) to be resolved. The most striking feature of this process is the way in which the values of the section’s Problem-Based Learning approach is extended out of the classroom and into programme management. Students are front-and-centre, creating their own agendas, working towards targeted results. Such an approach has to be lauded, not least for making sure that the student focus does not stop once they step out of classroom. In so doing, it also makes students stakeholders in their education, as they take some of the responsibility for the process. Interestingly, it is a good way of helping the reps to see that staff have to manage different interests and work within constraints: more of one thing often means less of another. For staff, it’s a way to remember that their students can and do engage with issues beyond the mundane, and that some of the ideas that emerge can add genuine value. To call all of this a model might be pushing it, but it is still the kind of activity that more institutions will need to use if they are to maintain and improve student engagement and satisfaction. The process is as important as the outcome here: by treating students with respect and as colleagues, we can start to get the emergence of new practice that serves all our interests. This is good to hear. Too often these kinds of interactions between students and staff are perfunctory and defensive (on the staff side at least). I’m blogging about student engagement at Thinking Socially. I think we probably have a lot in common….